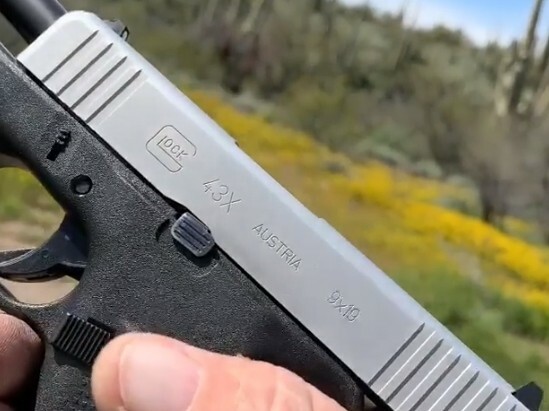 The Glock 43X is a single stack 9mm pistol that takes the best qualities of the Glock 43 and makes them better. It is thin like the 43, at just 1.1 inches wide, with the same length slide, at 6.06 inches. However, whereas the 43 held seven rounds, with six in the magazine and one in the chamber, the 43X holds 11 rounds, with ten in the magazine and one in the chamber. The chief difference between the pistols is the longer grip on the 43X. This gives the 43X a height of 5.04 inches whereas the height of the 43 was 4.25 inches. In addition to being super compact, the 43X is incredibly accurate. And because it is a Glock, it goes ‘boom’ every time you pull the trigger. All these things come together to make the Glock 43X a no brainer for concealed and open carry. It is truly single stack perfection.